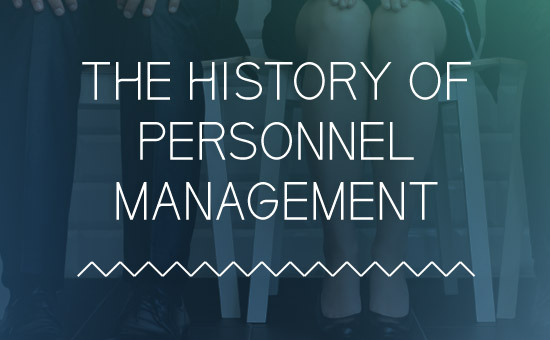 The history of personnel management isn’t quite as straightforward as you may think. You could be forgiven for assuming that human resources is so ubiquitous and essential that there couldn’t possibly have been a time when industry managed without it. You’d be wrong. The world managed to get through an agricultural and an industrial revolution without HR becoming, in today’s parlance, “a thing”. Looking at the successes and giant leaps that were accomplished during those periods might make a few industrialists wonder if all that investment in HR has been strictly necessary. But let’s not forget that the world was a very different place back then. It was dominated by monarchies and empires, not democratically elected and accountable governments. Technological revolutions tend to come about through individual inventions, not workforce models. And employment rights have generally been moving in workers’ favour since the middle of the twentieth century, which has increased the need for a layer of management between owners and employees. Throughout the Industrial Revolution (which took place roughly between 1760 and 1820) workers as a collective group were of course vital, but individually they were expendable. There would always be a willing person to take the place of a dismissed worker; this led to the enormous population migration from rural to urban environments that built many modern towns and cities in the industrialised world. On the flip side, in the absence of a welfare state, workers would work long hours and keep their noses clean to avoid poverty and dismissal, often in conditions that would today be considered inhuman. The system functioned well enough for the owners, but the life of the worker was hard and usually short. But it was after the war that HR started to be taken seriously as a distinct discipline in itself. The post-war period saw possibly the most severe societal changes in human history. For a start, Britain and much of Europe needed rebuilding. For all the destruction of World War One, there was nothing to compare to the damage to the British and German cities and transport infrastructure. For decades after WW2 there was full employment and a great demand for labour. Workers could flex their muscles and employers needed to manage things more sensitively. Discrimination based on gender, race, disability, sexuality or religion would slowly become criminal offences. 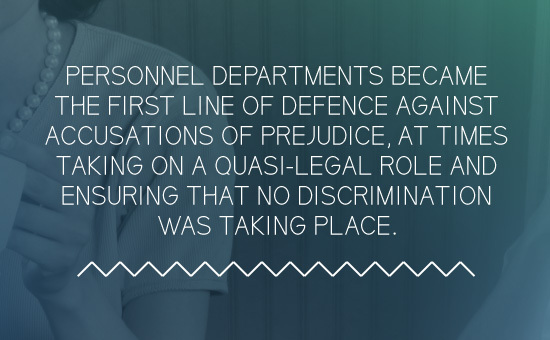 Personnel departments became the first line of defence against accusations thereof, at times taking on a quasi-legal role, ensuring that no discrimination was taking place, as lawsuits could be expensive. Their role in health and safety, training, recruitment and discipline similarly increased. The positive results were that experts in the business would be able to focus on their core competencies and legal fees could be lessened, although maintaining a personnel department and keeping it au fait with changes in legislation could be costly.